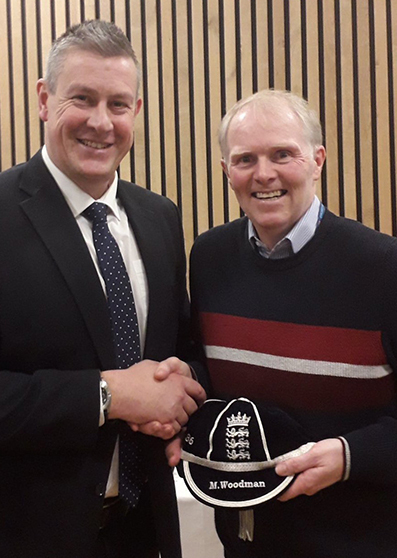 FORMER Devon cricketer Mark Woodman was honoured for his service to disability cricket during an awards ceremony at Lord’s. Woodman, who will be 52 on Tuesday, was a Devon player for nine seasons and a member of the all-conquering Exmouth side that won six successive Premier Division titles in the 1990s. 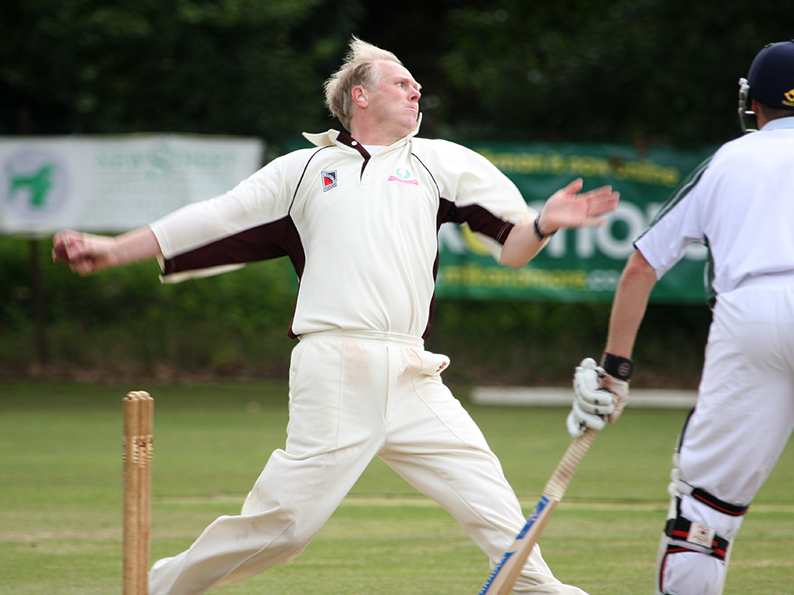 Woodman has been profoundly deaf since birth, but his disability was barely noticeable when he played for Devon against professional sides containing players of the quality of Graham Gooch, Derek Randall, Jimmy Cook, Chris Tavare, Carl Hooper. Michael Vaughan and Richie Richardson, to name but a few. When the ECB started promoting diversity cricket they invested in a Deaf XI and Woodman was among the first players they signed up. Woodman’s England highlights were playing in two Ashes series – one home and one away – and he was also selected for a tour of India which was cancelled. Diversity cricket is now well established with a Visually Impaired XI and a Learning Disability XI, in which North Devon’s Dan Bowser has been a heavy run scorer over the past six seasons. Woodman, Paignton’s Steve George and Exmouth’s George Greenway have all played for the England Deaf XI with success since 1984. 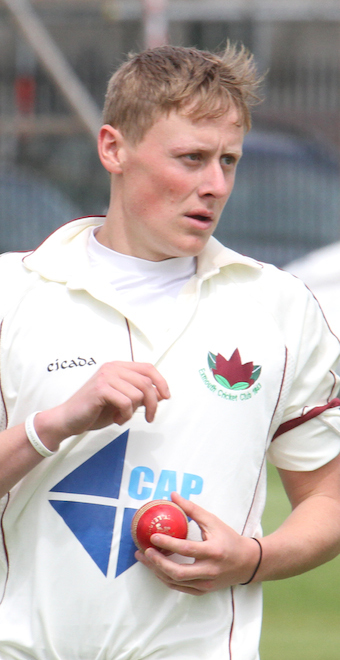 Steve George performed so well as a batter, bowler and wicketkeeper he was named ECB disability cricketer of the year in 2014. Woodman and Greenway were both guests of the ECB at Lord’s when Ashley Giles, the new director of cricket, presented them with tasselled caps to mark their contribution to disability cricket. Nick Folland, the former Devon captain who played extensively with Woodman for club and county, said his old team-mate’s award was richly deserved. “Although Woody was profoundly deaf, it had no noticeable affect on his cricket,” said Folland. “He lip read brilliantly and always knew exactly what was going on. “As a bowler he was the sort I hated playing against. He nagged away at you, bowling line and length, and gave you very little to hit. “If you wanted a boundary off Woody, you really had to go for it as he would not give one away easily. “Bowling at around 75-80 mph he was hard to get away – and the professionals we played against in the old Nat West knew that. “We played Kent at Canterbury in the Nat West (1992) and Mark bowled 12 overs, for 16 runs and got Mark Ealham out. He was very nearly unplayable. “Mark Benson, who was the Kent captain who won the toss and batted, got so frustrated by Woody he threw his bat on the ground and gesticulated to the players’ balcony with his arms aloft, as if to say, what am I supposed to do now? Folland said Woodman was a key figure during Exmouth’s ‘golden years’ in the 1990s when they won six successive Premier crowns and eight during the decade. “The regulations were different then: you could bowl 15-16 overs and that is what Woody often did for us,” said Folland. “Players on the circuit had a lot of respect for Mark and there was a very good case for picking him,” said Folland. 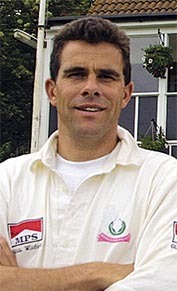 Mark Woodman started his cricket career in Devon with Ottery St Mary before moving to Exmouth in 1986. There was a brief flirtation with Budleigh Salterton in 2001 that interrupted his time at the Maer. He went back to Ottery St Mary for the final four years of his career in the county.